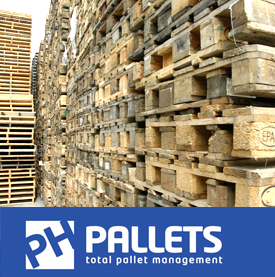 P.H.Pallets offer a collection and recycling service for all your unwanted pallets, our service is available to you for one off clearances or scheduled weekly, monthly collections. 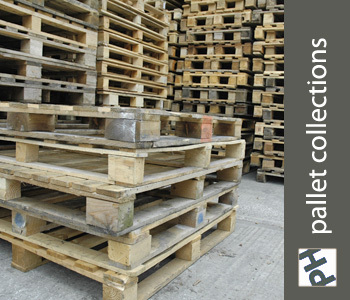 All wooden pallets that we collect are fully recycled by reuse or we will strip down the pallet to reclaim useable components, any material we can not use is recycled in to cattle and horse bedding, panel board production or biomass fuel. Our service can be tailored to meet your specific needs, prices start from as little as £50.00 + VAT depending on quantities and distance traveled. We will provide you with a no obligation quotation, or we can visit your site to assess your needs.